Four different seasons with four ever-changing sets of style rules can threaten to burn a hole in even the savviest of shoppers' pockets. Us Brits have it hard, don't we? Well, fear not, because you have in on good authority (from, well, us) that this spring's wardrobe reshuffle needn't take more than 9 carefully picked items. Yep—you can get your spring style entirely on point without the need to sacrifice that weekend away you had planned. From the coat purchase to make to the trainers you'll buy and have worn to death by summer, these are the pieces you'll need for your spring capsule wardrobe—and they all work beautifully together. For example, that new dress looks just as good with the aforementioned sneaks as it will with a pair of this season's easy peasy posh mules, while a pastel blazer will do very nicely paired with your staple denim and worn with the bag that goes with everything. Keep scrolling to see the concise and effective spring wardrobe that will do all the hard work for you and shop our favourite pieces for each of the nine elements. 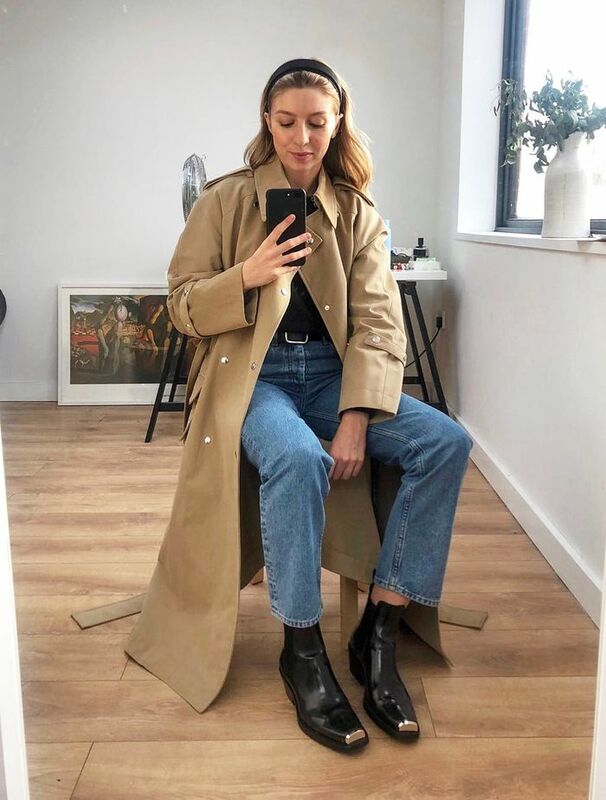 We hate to put a damper on things, but you'll probably still need a coat this spring, and there's really no other choice than the trench coat this year. Chic detective vibes incoming. If you're going to buy one new pair of heels as a part of your capsule spring wardrobe, here's our only piece of advice: Make like Carrie Bradshaw and opt for a pair of bold, closed-toed mules. Think easy-to-wear pastels and bow details, plus lower heels so you can last all day in. For your denim hit, straight-leg styles aren't going anywhere, while white jeans are set to make a surprising resurgence. As for detail, contrast stitching is a denim trend we're coveting at the moment. This '50s wardrobe staple is back on the agenda. If you're wary of the skintight versions that conjure images of officewear stock photos, then add interest a front-split, a belt and pearl embellishment. 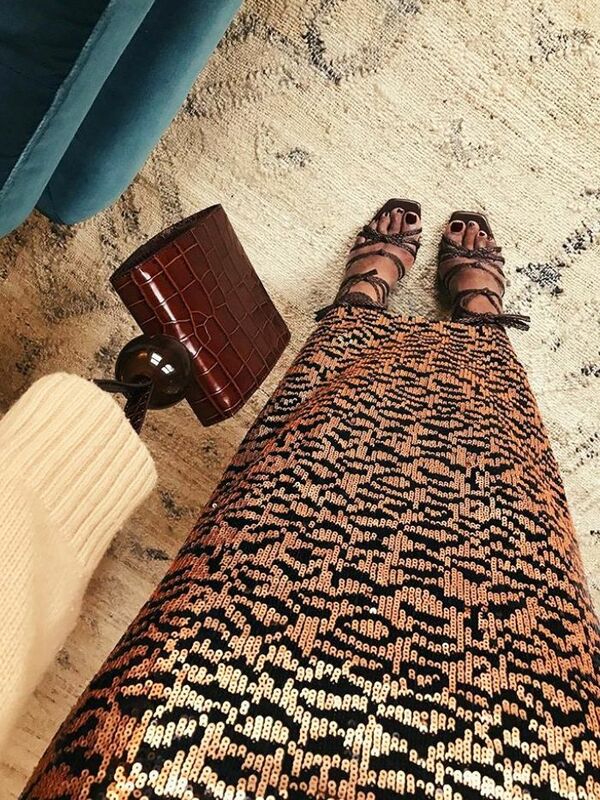 Softer than classic black arm candy, tan accessories make for the perfect accompaniment to the lighter shades you'll likely wear for the majority of the springtime season. It's still too soon for short sleeves, so ease yourself out of your roll-neck with a pretty ruffled blouse. Then, when temperatures really begin to soar, swap your strides for a linen skirt.